Posted on April 21, 2015 by Mandy	in Action Figures, Want of the Week and tagged Action Figure, Collecting, Collector, Comics, Fin Fang Foom, Finds, FyndIt, Hulk, Incredible Hulk, Marvel, Marvel Comics, Marvel Legends, Wants. An Incredible Hulk fan is searching for a special green variant of Marvel Legends Classic Hulk action figure from the Build-A-Figure Fin Fang Foom Series. Can you help a fellow toy collector out? Locate this 2008 BAF Marvel Legends Classic Hulk Action Figure and earn a small bounty reward. If the member accepts your toy as a match, you’ll earn the reward and the location of the Hulk action figure will be revealed to the Wanter. 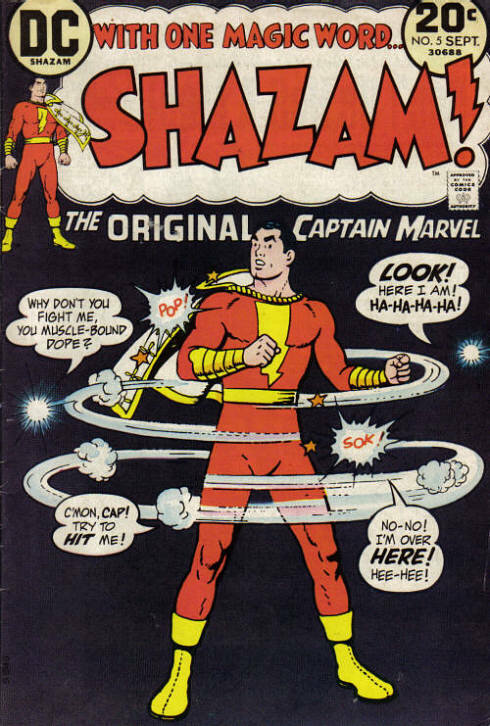 Think you can locate other cool comic collectibles? If so, try your hand at searching for Wants on FyndIt. It’s super easy to cash out your bounty rewards through PayPal. Posted on April 11, 2015 by Mandy	in Want of the Week and tagged 1990's, 90's Toys, Action Figure, Collecting, Collector, Dragonzord, Mighty Morphin Power Rangers, Power Rangers, Vintage Toys. FyndIt member cvanscott is searching for a 1991-93 Original Power Rangers Dragonzord in good condition. It must include all of it’s original parts and the tail must be intact. It would be great if the original packaging was included as well, but is not a requirement. Think you know where to find a great deal on this vintage toy? Post it to FyndIt! You can make money helping people find stuff on our site. Give it a try. Search the Wants and see what you can come up with. If your Find is accepted as a match, you could earn a nice bounty reward! Posted on March 5, 2015 by Mandy	in Want of the Week and tagged black and white movies, Collectibles, Collecting, Collector, Finds, FyndIt, lobby card, Memorabilia, Movie Memorabilia, Movies, Phantom Empire, Wants. Lobby cards were a form of picture show advertising in the early 20th century in movie theaters. They were smaller than the standard movie poster and often displayed on an easel in the front lobby of the theater. They generally came in sets of six or eight and depicted different scenes from the featured film. 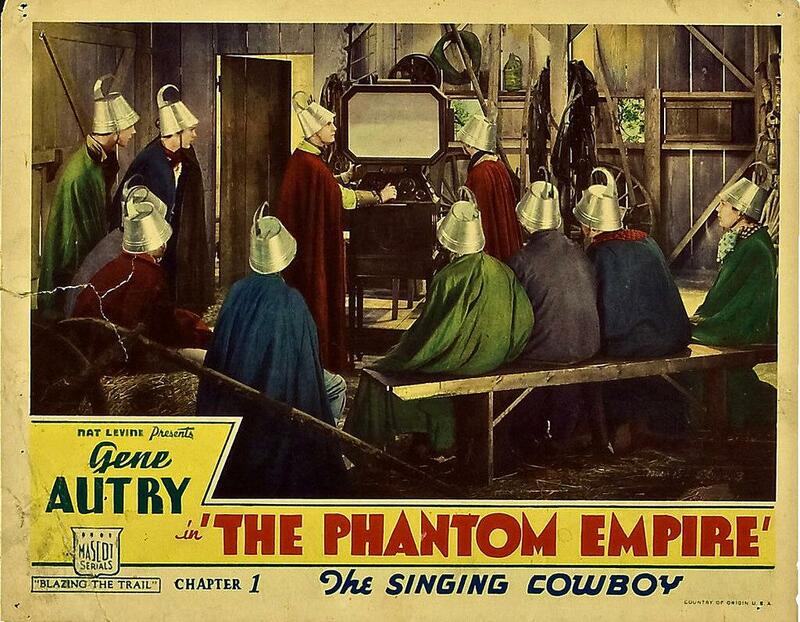 A FyndIt member is searching for a lobby card for the 1935 American Western film The Phantom Empire. This twelve chapter musical was a crossover between western and science-fiction genres. They have posted a Want for The Phantom Empire lobby card to FyndIt and are asking the community to help them track down an original copy in good shape. They have exhausted their resources online and are specifically looking for help searching local collectible stores all over the world. Are you familiar with movie memorabilia or know of a store in your local area that carries lobby cards? Help our member track down a rare piece of western movie history! If you are lucky enough to discover a Phantom Empire lobby card, take a photo of it and post it to our site as a Find. In the description specify the condition and price of the lobby card. You will also need to note the address of the store or contact information for the seller. The location of the item will be kept secret until the Wanter accepts your item as a match. Upon approval you will earn a bounty reward for your knowledge and efforts! See if you can find other movie and comic book related memorabilia posted to FyndIt by searching the Wants. It’s easy to make a couple of bucks helping others find stuff! You can easily cash out your rewards through your PayPal account. 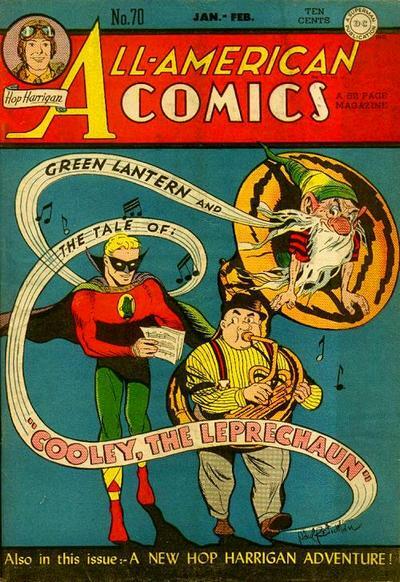 Posted on March 4, 2015 by Mandy	in Comic Books, Finds, Holiday and tagged Blue Devil, Collecting, Collector, Comic Books, Comics, Disney, Find, FyndIt, Green, Green Lantern, Grimm Fairy Tales, Holiday, Leprechaun, Mickey Mouse, Ralph Wiggam, Shazam, St. Patrick's Day, Superman, Want, Wonder Woman. 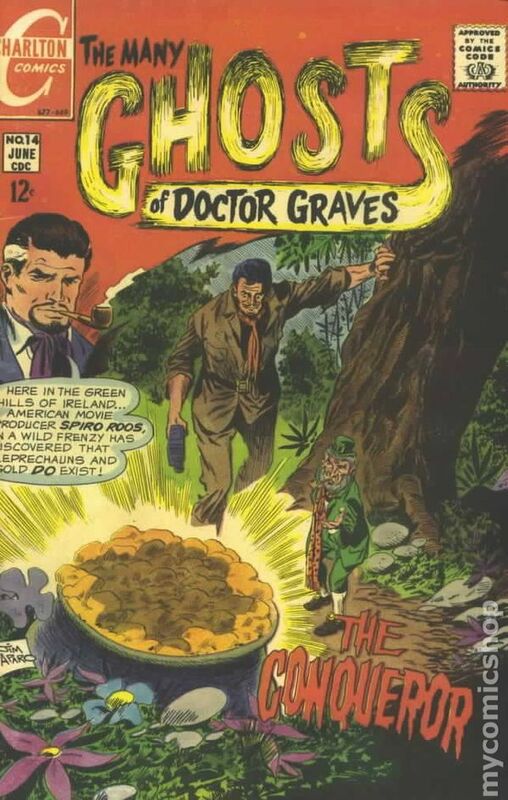 Why are Leprechauns so crafty? Probably because they will do anything to protect their gold at the end of the rainbow. 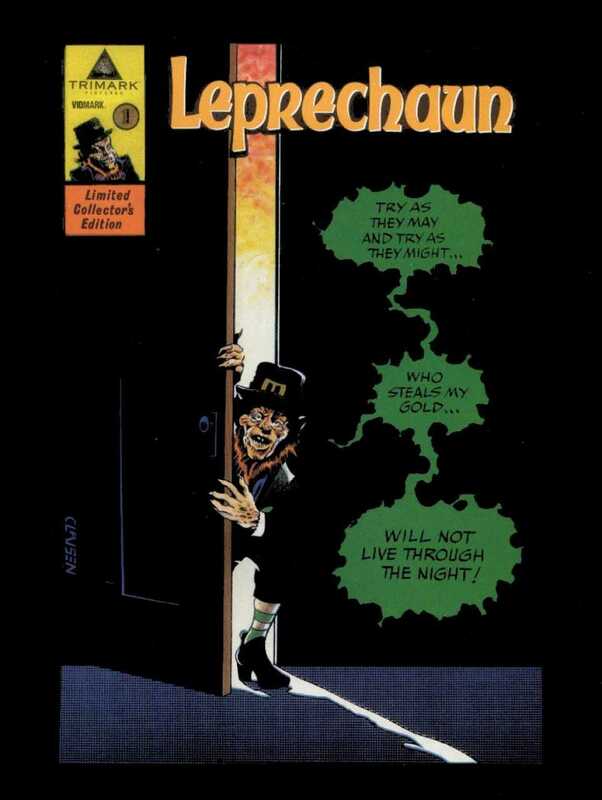 Here’s 13 leprechaun comic book covers to get you in the mood for St. Patrick’s Day. 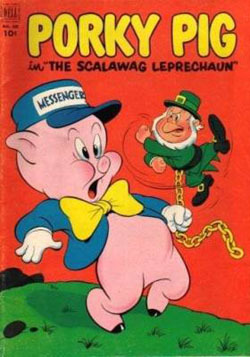 What’s up with the chain Porky? Is this some kind of Fifty Shades of Green shenanigans? 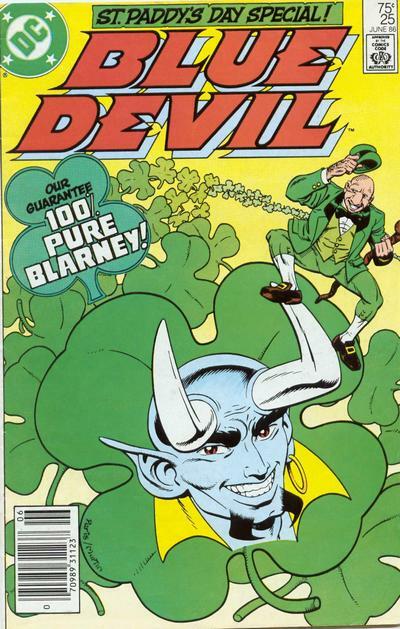 Hmm…not sure who I’d want to bump into…Beelzebub or a crazy leprechaun who has shamrock flatulence issues. 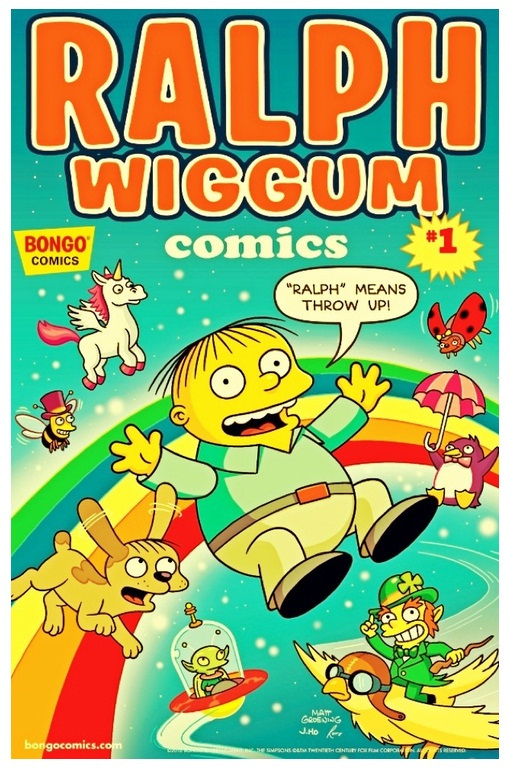 Of course Ralph would have a magical leprechaun! 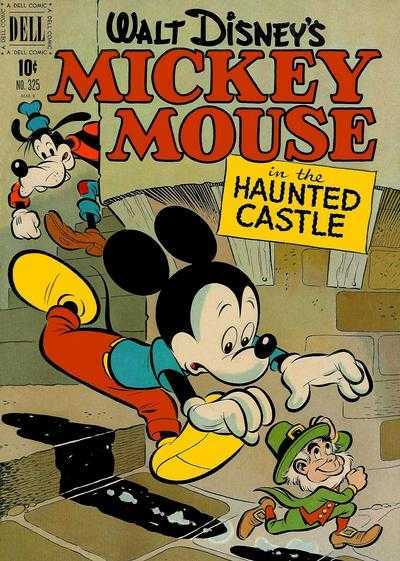 What’s Mickey doing chasing down a leprechaun for his three wishes? Doesn’t he know a few fairies, sorcerers or magic genies that could help him with that? Seriously, dude…keep your gold. You are creeping us out! So that’s how they make that green St. Patrick’s Day beer! 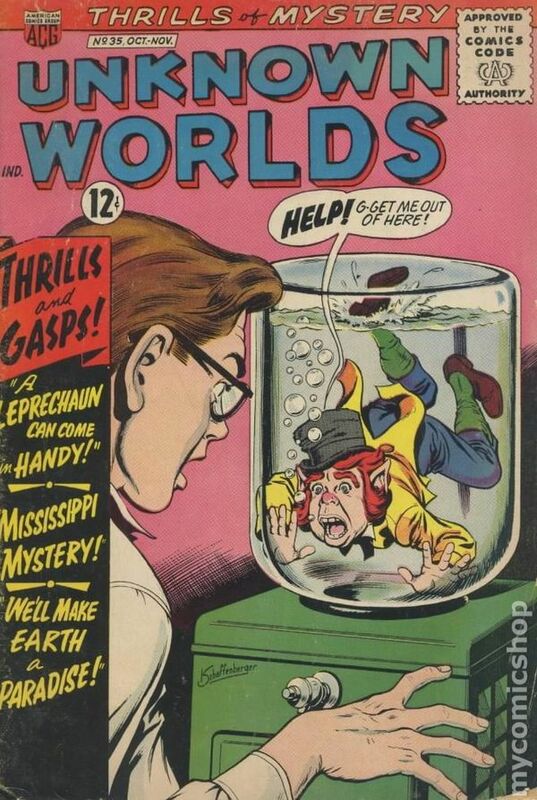 You sure that’s not a gremlin dressed up as a leprechaun? Apparently leprechauns are fast as lighting. Tricky little buggers. What’s up Doc? You’ve found my gold. Now I have to grant you three wishes. Said no leprechaun ever! 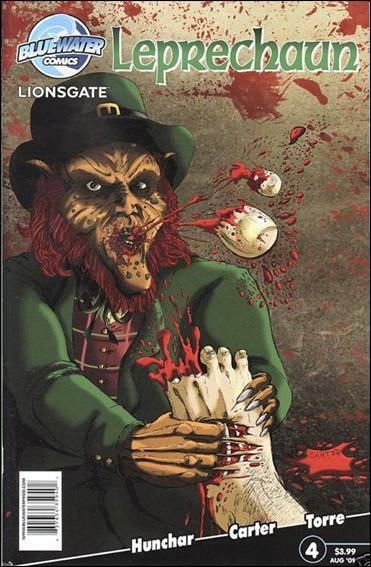 Zombie leprechauns?! Apparently this guy has watched one too many episodes of The Walking Dead. Hey leprechaun…want to hop in my tuba and go for a ride? 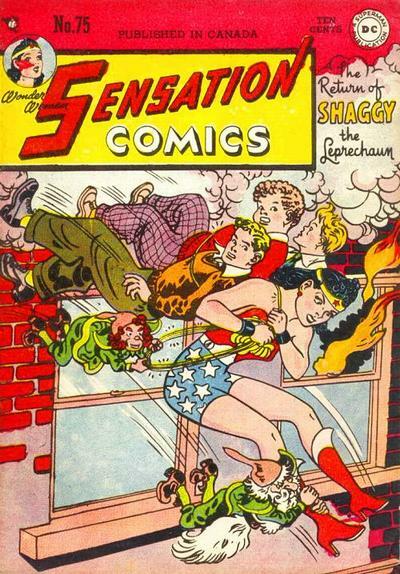 You know all she has to do is kick her leg and that leprechaun will go flying! 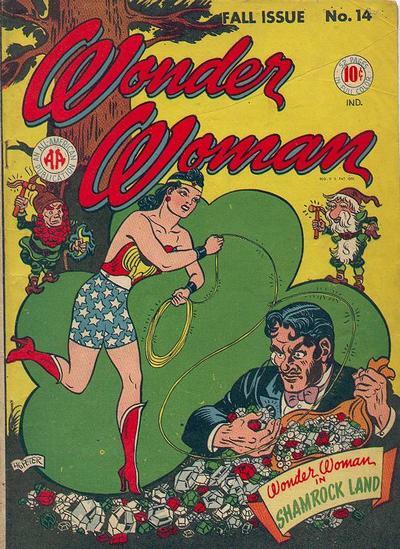 Leprechaun, why you gotta salt Wonder Woman’s game? Posted on March 4, 2015 by Mandy	in Action Figures, Finds, Toys and tagged 1970's, 70's Toys, Collectibles, Collecting, Collector, Find, Finds, FyndIt, Leonard Nimoy, Mr, Sci-Fi, Science Fiction, Spock, Star Trek, Teenage Mutant Ninja Turtles, TMNT, Trekkies, Want. Find something cool? Post it to FyndIt. Get paid if someone wants it! “Live long and prosper.” – Mr. Spock. Rest in peace Leonard Nimoy. What kind of crazy crossover is this, TMNT & Star Trek?! Now this is the kind of crossover we can get behind. Know where to find good deals on collectibles and memorabilia? Post your great Finds to FyndIt and make a little coin. If someone can’t live without your awesome discovery, they’ll pay you to find out where it is on our site. You can also make money by checking out the Wants posted to our site. Earn a bounty reward if someone accepts your match. Easily cash out with PayPal. What have you got to lose? You’re already surfing the internet. Might as well get paid for it. 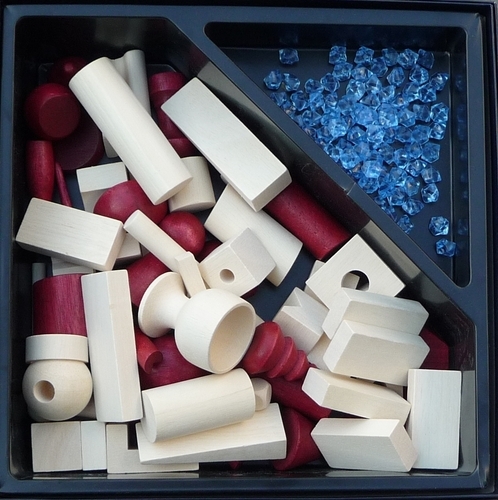 Posted on January 5, 2015 by Mandy	in Want of the Week and tagged Bausack, Board Games, Building Games, Collecting, Collection, Collector, Find, FyndIt, Game, Games, Klaus Zoch, Want, Zoch. 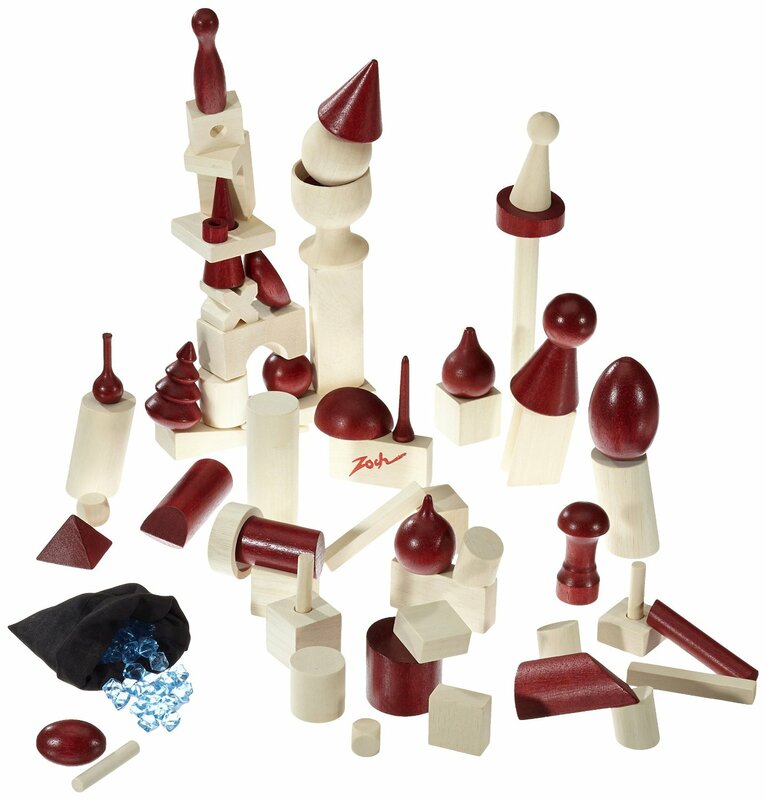 Board games are a great way to relax and have fun with family and friends. A FyndIt member discovered a new game to play over the winter break and needs the help from the FyndIt community to track one down. 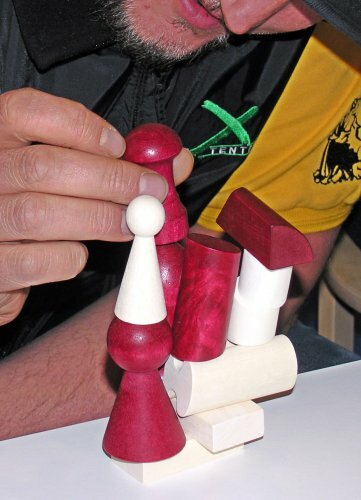 Bausack is a clever game where you stack odd shaped pieces together to build a tower. It’s sort of like Jenga in reverse. The game is so popular it is sold out and admirers of the game are scrambling to find copies online after the big holiday rush. 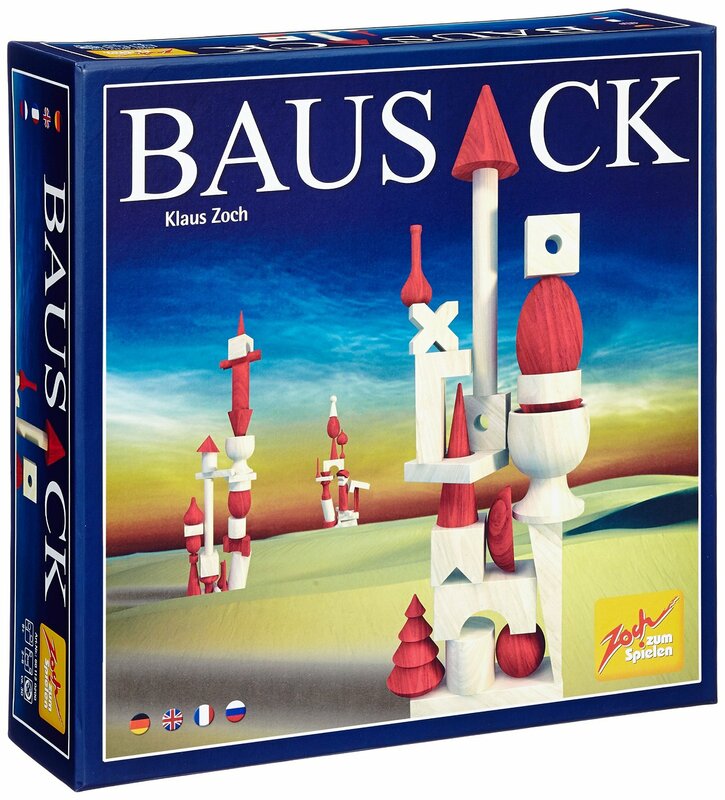 You can earn a $20.00 bounty reward if you can help find an unused copy of Bausack. If you know where one is, sign into FyndIt and post a Find for the game. The person who wants it will review your find and pay you a $20.00 bounty reward if your game is accepted as a match. FyndIt is a quick and easy way to make money helping others find stuff! Take a look at the other Wants folks have posted to our site and see if you can locate any of the items for a monetary reward. Posted on November 11, 2014 by Mandy	in FyndIt and tagged Anniversary, Collectibles, Collecting, Collector, Comic Books, Comics, Contest, Finds, Forums, FyndIt, TMNT, Wants, XMEN. We’ve crossed a milestone in the history of FyndIt! November 11th marks the one-year anniversary of the launch of our website. Thanks to our amazing community of Wanters and Finders, in the past year we have been able to help people find stuff from all over the world! It has been really interesting to watch the site in action and be able to check out the cool and unusual stuff people are hoping to track down. We get super excited when we see Finds start to roll in that our members have posted in response to a Want. It’s great when there’s a handful of options for a Wanter to choose from. There’s nothing like that awesome feeling we get when a collector scores a rare item in great condition for an affordable price on FyndIt! We make it easier for a Wanter to shop for their hard-to-find items and also make it possible for successful Finders to earn money hunting online and in stores for treasures and collectibles. To get our first year started off right, we held two awesome contests rewarding finalists with near mint signature series CGC comic books. Our Classic X-Men Comic Contest Grand Prize winner earned a NM CGC set of Uncanny X-Men #141 and #142 signed by Stan Lee valued at $1,500. The Grand Prize winner in our Mean, Green TMNT Contest walked away with a NM CGC first issue of Teenage Mutant Ninja Turtles signed by Eastman and Laird worth $10,000! Holding the two comic book contests really skyrocketed site traffic and helped us gather a lot of great insight and feedback about how the FyndIt community interacts with the site’s user interface. Based upon feedback from contest participants and other members posting comments and suggestions to our Community Forums, we’ve turned out several updates in the past year to improve FyndIt’s user experience. We’ve added the option to upload multiple images, streamlined how a user posts a Want or a Find, added the ability to link to smaller e-commerce sites and allowed Wanters additional options for where a Find can be located. We’re constantly looking for ways to improve our site and help people get their hands on stuff they want to find. We’ve got lots of fun updates in store for FyndIt’s second year and can’t wait to start rolling them out! If you’re just hearing about FyndIt for the first time, like us on Facebook or follow us on Twitter to keep up with the cool and unique stuff people post as Wants and Finds to our site.